Microsoft .NET Framework 4 is required to run Super Prize Grid, if Microsoft .NET Framework 4 is not available on your computer, the installer will download and install Microsoft. 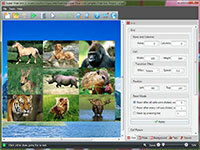 NET Framework 4 automatically, you can also download and install Microsoft .NET Framework 4 from Microsoft before installing Super Prize Grid. You can create a prize grid with up to 32 rows and 32 columns (32*32=1024 cells). The cell size can be changed in grid. 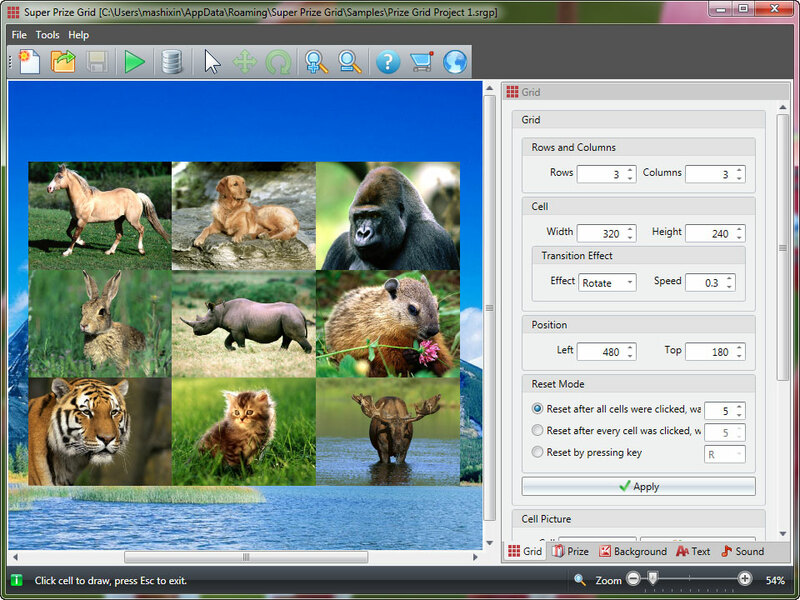 Each cell can be assign a picture. Fixed cell is available in grid, clicking a fixed cell can't draw, fixed cell is used to display logo or something else. There can be up to 100 prizes in a prize grid project, every prize can be set a picture. Enable transition sound and back music. Support to enlarge prize picture after it was drawn. 3 transition effects are available. Support to add back picture and back video to prize grid project.